As most of California and probably most of the US has heard, California has declared a state of emergency. 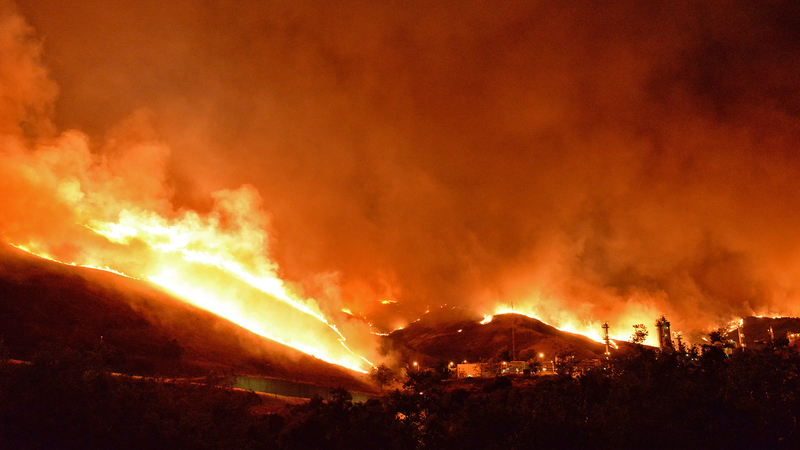 On Thursday, December 4th, the Thomas Wildfire started, along with the Fast Santa Ana winds, reaching speeds of more than 80 mph. The fires spread and the domino effect created a series of 21 fires. Four of which, Thomas (Dec. 4), Creek (Dec. 5), Rye (Dec. 5), and Little Mountain (Dec. 5), are still burning as of December 14th. The fires have burned more than 269,360 acres. More than 212,000 people were forced to evacuate the raging fires, where 222, 430 buildings were damaged or destroyed, and either injured or killed 16 people including firefighters. As fires raged out of control in hard to reach places that county fire depts. 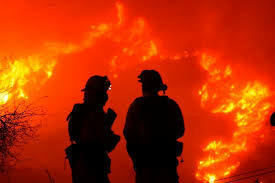 alone could not handle, California called on firefighters around the state to help. While the 4 fires still burning as of December 14 are around 90% contained, one of the biggest fires in CA history, the Thomas fire, is still a mere 30% contained, if and only if the weather this weekend works in aid of the firefighters.